Looking for professional and cost-effective security services in Palm Beach, Broward, Miami-Dade & Monroe County (Keys Areas)? You have come to the right place! Arseas Security Services provides quality and customized commercial property security services for office buildings, hotels, or any business! We recognize that employee, client and visitor safety is paramount to the success of your operation as well as having a customer and guest based security guard service and concierge service for your visitors, vendors and customers. This is why our security guards meet a superior standard of alertness and proficiency that guarantees a level of defense that will preserve your commercial success. 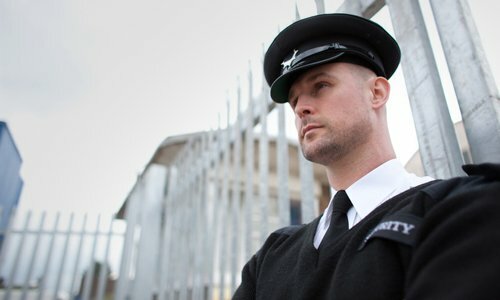 The presence of your staff and security speaks volumes about your business as well as your brand, and Arseas Security Service’s commercial security guards make sure to maintain a professional well-dressed as well as a well-spoken demeanor while creating a secure environment for businesses and their network of employees, clients, and visitors. Whether 24/7 Commercial Property Security is required or a more customized schedule, our guards will see to it that your business remains a welcoming environment to guests, visitors, and tenants while addressing current and potential concerns. We service Fort Lauderdale, West Palm Beach, Miami as well as the Palm Beach, Miami-Dade, and Broward Counties in all of South Florida! Arseas Security Services oversee each security team at their job site to make sure each element of the security plan and standard operating procedure has been executed properly and complies with clients expectations. Preferred Commercial Security Company of the Tri-County Chamber of Commerce.